We have a sneak peek of a shipping Dell workstation card that has four m.2 slots for PCIe/ NVMe SSDs all on one PCIe card slot. This is significant because many consumer workstations have PCIe x16 slots and adding four gum stick size yet high performance SSDs can be seen as a way to easily add fast an inexpensive storage. 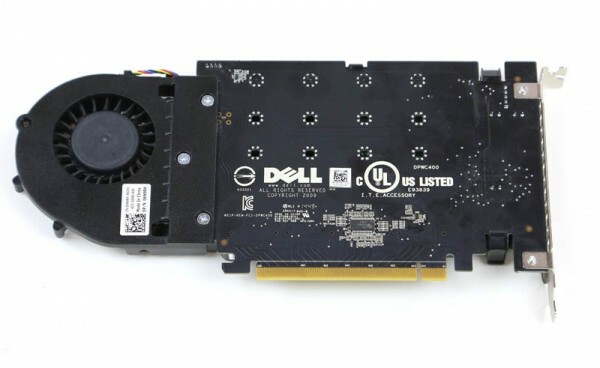 The particular Dell card we have exclusive information on does not have a part number we can find or order separately, but can be ordered with the Dell Precision T7910 workstation as a quad PCIe/ NVMe SSD option. What we can see there is a heatsink and fan assembly along with four m.2 SSDs. Perhaps the more interesting view is what is under the HP logo. We have been working with the Dell version recently. This Dell 4x m.2 SSD PCIe x16 card we have had in the lab for well over a month. It features a similar design to the HP Z Turbo Quad Pro. One can see the 4-pin fan and a giant shroud. On the back of the card we can see the fan bolted to a PCB assembly with multiple through holes for the different m.2 mounting sizes. We can also clearly see a PCIe x16 connector. Inside the unit we can see spots for four m.2 SSDs. The hinged cooling duct is very easy to use when accessing the drives. We will note that we did not get a heatsink with the Dell card. With the rear of the unit having no significant electronic components, we can see the array at the expansion slot edge of the card. The reason this card, and possibly the HP Z Turbo Quad Pro will be a bad fit for most systems is not just “BIOS locking” but it is an issue of PCIe bifurcation. We have a picture of the two cards we used in our adding 2.5″ NVMe to a desktop/ server article from a few months ago. 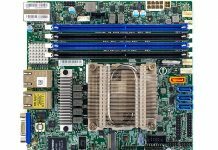 The Supermicro AOC-SLG3-2E4R will only work in motherboards that have PCIe switches onboard. Otherwise CPU PCIe lanes cannot handle two PCIe devices on a single PCIe slot. Likewise, the Supermicro AOC-SLG3-2E4 has an Avago/ PLX switch chip onboard and thus can take the single PCIe x8 slot and use it for two devices. (See the piece on Supermicro AOC-SLG3-2E4R and AOC-SLG3-2E4 differences.) When we look at the Dell card, it does not have the PCIe switch chip and is why the card is not compatible with every system. 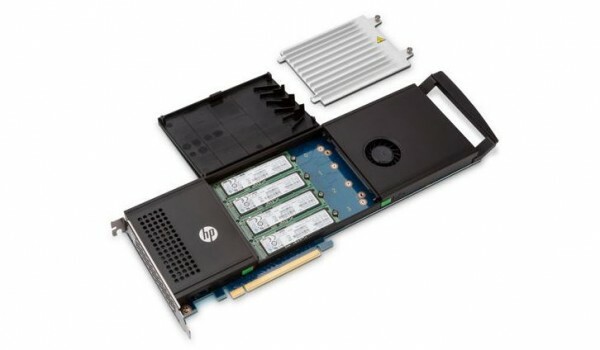 The big questions are whether the HP Z Turbo Quad Pro has a PCIe switch chip, and if so, are the cards BIOS locked to prevent them from being used in other systems? If they do have the PCIe switch chip and are not BIOS locked, they will be good solutions. If they do not have the PCIe switch chip or are BIOS locked, then they will be similarly hard to work with as this Dell 4x m.2 PCIe x16 card. If anyone has tips on the Dell workstation part number please post it in comments. I ordered the 414-BBBJ. In the US it costs $89.99. Shipping and handling was free, but I did have to pay tax. I initially had an ETA of 12/2, but got an email over the holiday weekend that it’s delayed and currently has an ETA of 12/8. Note: I have a Precision T7910, so I know for sure it will work (once I buy a Samsung 950 (probably a bit closer to Xmas for budgetary reasons)). I would be very interested to find out whether masking the PCI-E pins would allow the device to be used in a non-Dell system. I’m looking at throwing a few of these into Supermicro chassis’ connected to motherboards that support PCI-E bifurcation. 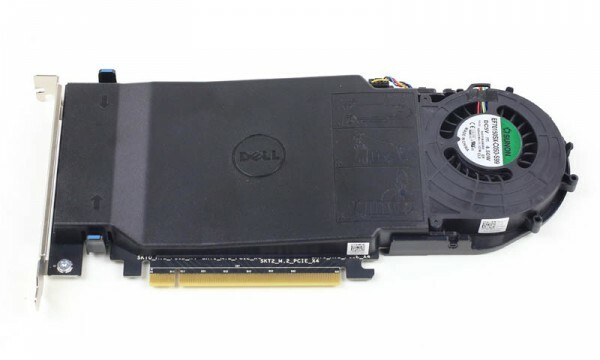 The pin masking trick is used for instance on Dell PERC H310 cards that are only supposed to work in Dell systems. If I could get these cards working in a Supermicro chassis then I wouldn’t need to unnecessarily use PCI-E slots. 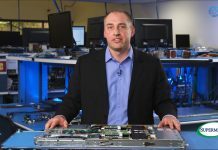 Lance – I think the issue is handling PCIe bifurcation, not system locking. Hey Dev Mgr, I’ve been trying to buy this part but so far I’ve been unable to find it through Dell, apparently they can’t find the 414-BBBJ SKU on their tools at all. Did you get the card? And did it work with the Samsung 950 you were planning to use? where can I buy a Dell PCIe x16 M.2 SSD card ( PN: 414-BBBJ)? Thanks for the pointer Patrick. I got one of these in house today. My test system was a Dell T7610. I populated the card with 4x Samsung 950 Pro drives, however only one of them shows up. Tomorrow I’ll populate the card in a X10DRW-iT motherboard which supports bifurcation. FWIW, the card was $63 (cheaper than 4x Addonics M2 PCIe cards). So a huge win. Did the 414-BBBJ Dell Quad NVME card work with the non-Dell motherboard ever? That is unlikely to work unless it has an appropriate PLX switch onboard. 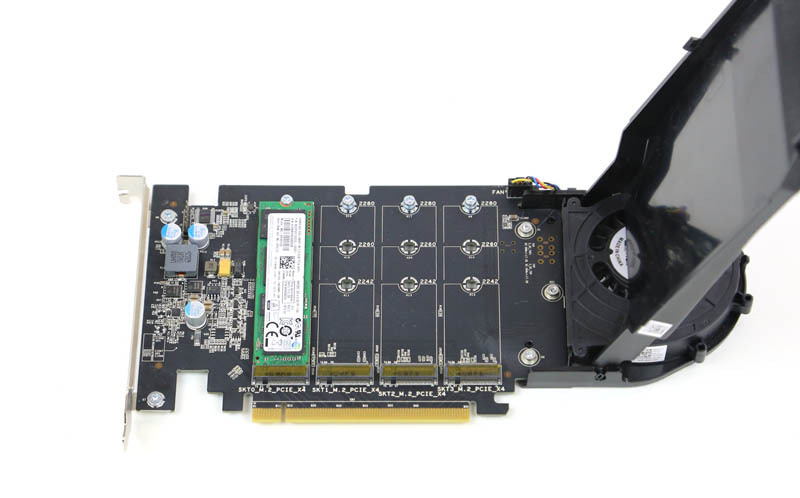 Spoke with Dell spare parts today about the 4X M2 PCIe adapter and the part SKU they gave me was 414-BBBK, not 414-BBBJ. It is $89.99 free shipping as the previous poster noted. They do not currently have the 2X M2 PCIe card version. I’m waiting for Samsung 960 PRO SSD to launch later this year to pair with this adapter in my T7810. Did it work on non Dell motherboard with bifurcation? The supermicro X10 motherboards have x4x4x4x option for X16 slots. did it work? Dell says they do not have 400-AKSO. What is the correct part number for the dual x8 module? – Does it recognize 4 950 pro? – Does it work on non-dell motherboard? – Does it need of a motherboard with plx (like Asus X99-e ws), or does it work also with motherboard without PLX? May i use as boot device? How can one order it from Dell? Dell is not shipping it. it seems the card only gets sold with a factory installed 256GB M.2 Drive and is now called “Dell Ultra-Speed Drive Quad”. At least that was the only card I could find in the configurator. Else the only other option is getting a PCIe 2.0 Card from Amfeltec (http://amfeltec.com/products/pci-express-carrier-board-for-m-2-ssd-modules/), but I guess that’s not for speed freaks like most of us are. The DP/N: is 414-BBBK and you can order it through Dell’s online chat. You’ll need a Dell employee to look up the DP/N because part is not available in the standard online parts database. 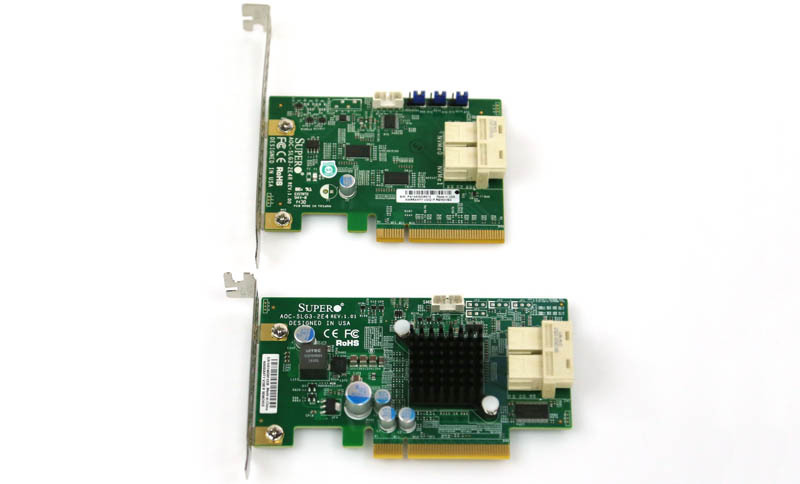 Did anyone ever track down if these Dell M.2 PCIe adapters work in Supermicro boards that support bifurcation? It was simply to install operatiing system on SSD at 414-BBBk? Note: Multiple (>1) solid state drives configured on the 4*Drive PCIe x16 M.2 Solid State Drive Card and dual 400GB Intel® DC P3700 PCIe Solid State Drives are seen as individual drives/volumes by the operating System. No RAID drivers are available. Dell does not recommend OS based RAID for PCIe Solid State Drives. Hoping someone can test these in a non Dell computer. I too have a Supermicro MB that should support this assuming the card isn’t locked in anyway. This controller seems a good deal ($255, dell, new on amazon? for the bare hdc) vs the few available. I look forward to tests w/ the new raid bios for TR/epyc.